Indian two-wheeler manufacturer giant Hero MotoCorp has recently announced setting up of its first Research and Development (R&D) Centre at a global location. This new R&D Centre is located near Munich in Germany. It will operate in tandem with Hero’s Global R&D hub, the centre for innovation and Technology (CIT) in Rajasthan’s Jaipur. The Hero Tech Centre in Germany will be a source of modern technologies with a focus on the global customer. This will also allow Hero MotoCorp to easily tap into the huge pool of resources available across Europe. The Tech Centre in Germany will initially be under the direct supervision of Hero’s Chief Technology Officer, Dr. Markus Braunsperger. It will focus on development of new vehicle concepts and future technologies in close cooperation with the teams at CIT in Jaipur. Munjal also added that the new technology centre will also be the epicentre for Hero’s Motorsport team and facilitate all rally participation activities, including new product development for the team. The Hero MotorSports Rally team has put India on the global map of motorsports in a short span of time. 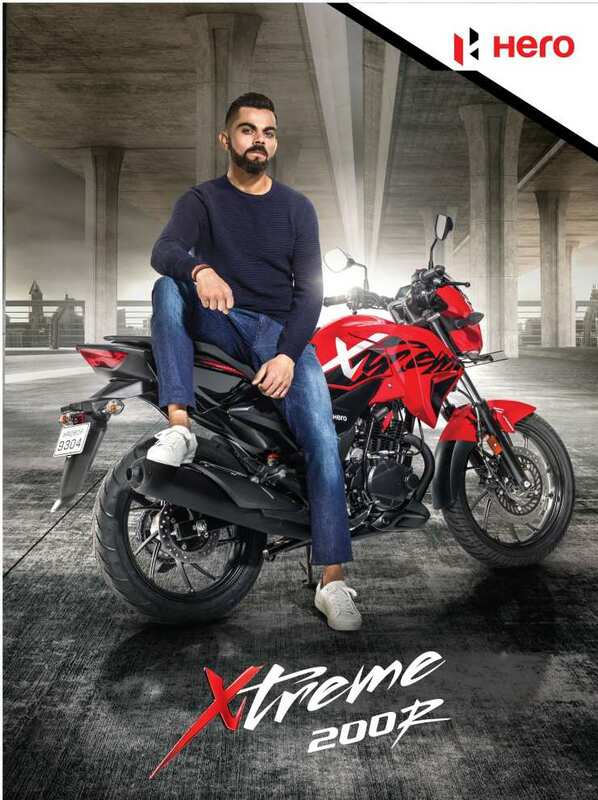 Hero MotoCorp is world’s largest two-wheeler manufacturing company and Hero Splendor is the largest selling motorcycle. Splendor is an extremely popular among people because of its fuel efficiency and reliability. It is a typical “Fill it, shut it, forget it” kind of a bike. There are three engine options available in Splendor. These are 98.2cc, 110cc and 125cc engine options. Hero also offers an iSmart system in some of their bikes and recently launched Duet 125 automatic scooter. One of the most anticipated launches from the brand is Adventure bike Hero Xpulse 200. It’ll be India’s least priced adventure motorcycle with a price tag of under Rs. 1 lakh, and is expected to be launched later this. The XPulse 200 will borrow the 200cc, air cooled single cylinder engine from the Xtreme 200, and will get a 5 speed manual gearbox. High travel front and rear suspension, a high ground clearance, an instrument cluster with smartphone pairing for navigation and a single channel ABS will be prominent features of the XPulse.